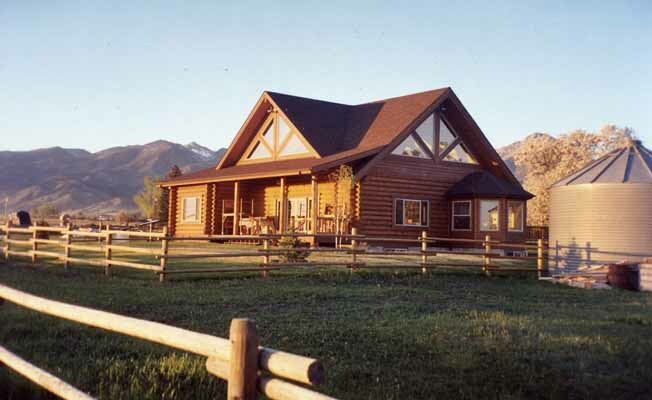 Located ten minutes from the Bozeman airport, this custom 4 bedroom, 3 bath log home completed in June of 2009, is nestled at the base of the Bridger Mountains in the heart of farm country. Surrounded by grain fields and mountain views, this is a private, accessible home. It features nice furniture and comfortable "high-end" mattresses. Two large decks allow you to take even better advantage of the surrounding beauty. The home is full of natural light due to the many large windows located high in the gable ends! It features a beautifully manicured lawn with nice shade trees. Bridger Bowl Ski Area and Big Sky Ski Resort are both minutes away, and cross country skiing is right out the front door. "River Runs Through It" world class fishing is close by, as the movie was filmed near to us, in the Springhill Community. Also on the property, is Roys Barn, a popular outdoor summer wedding venue. This 100 year old barn is also available for rent, and is perfect for weddings, reunions etc. for groups of two hundred or less, equipped with tables and chairs. More information is available upon request.